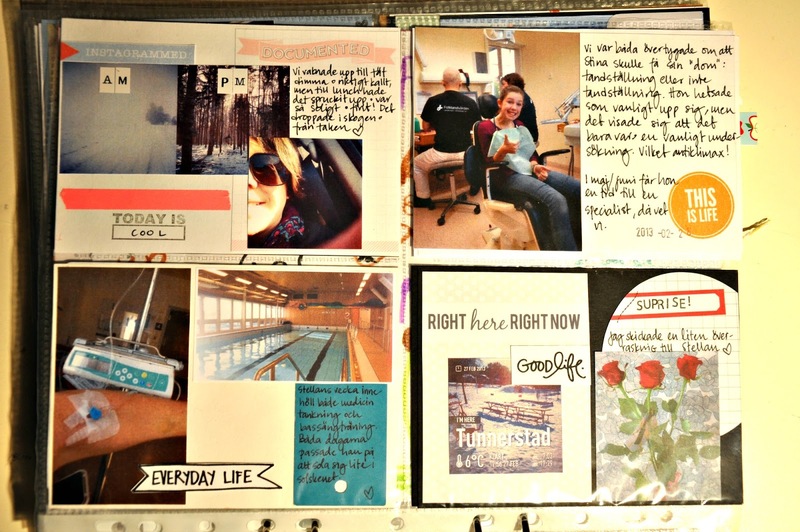 Here is my 9th week of Project Life in 2013. Tuesday was crazy weather wise. We had such thick fog and freezing temps in the morning and by noon the sun was shining and it was such a beautiful day! My new love contributed with photos from his week. He has MS and does alot of physical theraphy during the week. This was also the week each month that he gets his drugs at the hospital. On Wedn. the temps were up to 6 degrees celcius and it felt like heaven! 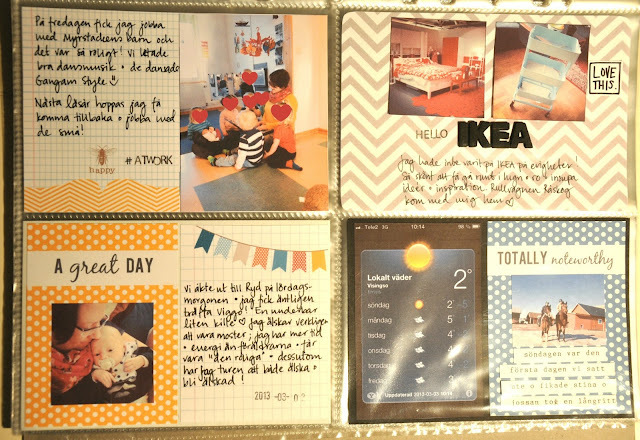 I went to IKEA for the first time in forever! We had all the time we wanted and that alone was heaven. I bought on of those Råskog carts that everyone in the scrapbooking world seems to have and yes, I do love it! Saturday we went to see my sister and I got to cuddle with my 12 day old nephew! Have I said heaven to many times in this post?! Sunday was beautiful and we could sit outside in the sun! My daughter went for a long ride. yep, another week documented. I LOVE this project!